The Blues Before Sunrise… | Pulp and Circumstance, Juiced. Turn of the century delta blues is as infectious as those bedticks so often reminisced upon in tracks from the likes of genius Lil’ McClintock; and in humble blogger’s life, you should know by now, its certainly not a pest I’m trying to rid myself of (unlike those ravaged sleepers of New York City). Early African American blues is, hands down, the most important genre in my music listening experience, and in my smallish not so important opinion, happens to be one of the greatest examples of how music can tell such a story: about a time, a people, a place, you name it. Sure, music is meant to engage. But, it can also be about charting a history, too. 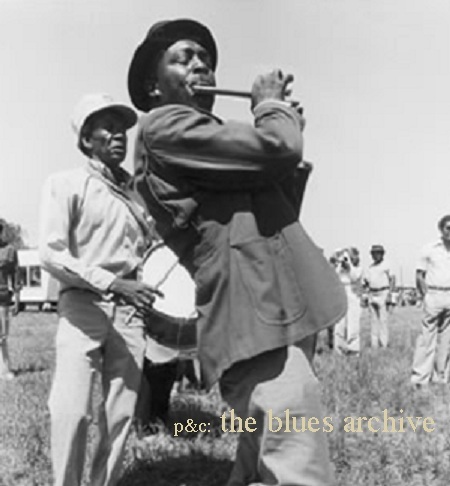 Since 2006, I have been slowly cataloging my blues collection and what little information there is about many of the artists here in the blogspace. This was a mini-archive I was creating, regardless of whether the readers liked the genre or not. A lot of you come here for new tracks, emerging bands, and ups on live gigs and new record releases. But in this, I also want to share how deep my relationship to music is–be it the newest experimental act or old classics that I’ve favored since childhood. For me, being a music devotee, fanatic audiophile, vinyl junkie, whatever you want to call me (I am certainly all of those things), does not mean simply jumping on the latest band and sticking with them until they become “successful, major” and then deeming them unworthy of my attention henceforth. I think that’s such a cop; you are no music fan if you like a band before its popular, then give up on it when making a living becomes more than just that–affording that apartment you have in Brooklyn but never sleep at. And being a music devotee doesn’t mean listening to “indie acts” strictly, and not understanding or appreciating what came before, what has influenced the music you listen to now, and heck, just straight up enjoying some 1897 hand made from garbage jug kazoo track. And so, when Pulp and Circumstance was shut down last April, most of the work I’d compiled was left to an internet cache that I’ve been slowly culling from to create a repository of what I did in the days of yore. I’d like to bring that Blues Archive live again–and expand upon it because god knows how many records I’ve scavenged since. I’d also like to podcast some of it for the readers–I know there are a handful of you who appreciate this kind of thing. So there’s that, too. In the coming weeks, I will be re-releasing a lot of those old pieces of work so they appear once more. Think of it as an opportunity to explore a new genre, or artist, if you missed it the first time around or are a new reader to the blog. Or just ignore it. What do I care, really? This entry was posted in blues archive, jwolf and tagged blues archive. Bookmark the permalink. ← Rinse, Repeat: It’s crazy, baby, on Coney Island. Woof. You said it little sister. These were the O-riginal garage bands … bunch of guys messing round in their coops, making music from spoons ‘n’ hoops. That’s a funny thought — bedbugs and bedticks. Bedticks were these sewn-together sacks filled with hay, horsehair, feathers and anything else that might serve for a makeshift mattress. They must have been filled with bedbugs and bed ticks!! And here we are today … overrun by the buggers once again. I can’t wait for your podcasts. You’re a vivid writer. Maybe you’ll mention this one: It will make you cry … how many songs do that? “Blue laid down and died like a man.